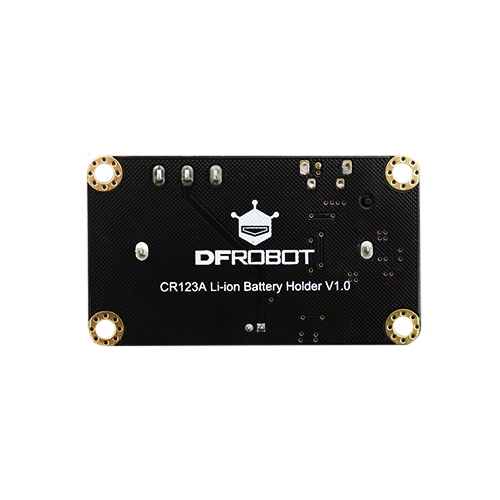 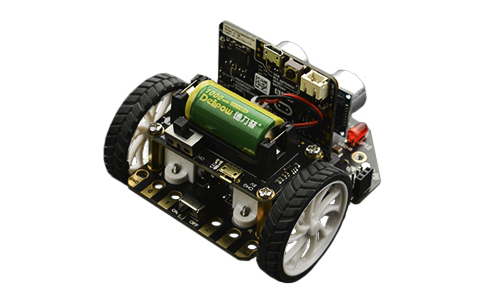 This is a Li-ion Battery Holder specially designed for Micro:Bit educational robot Maqueen. 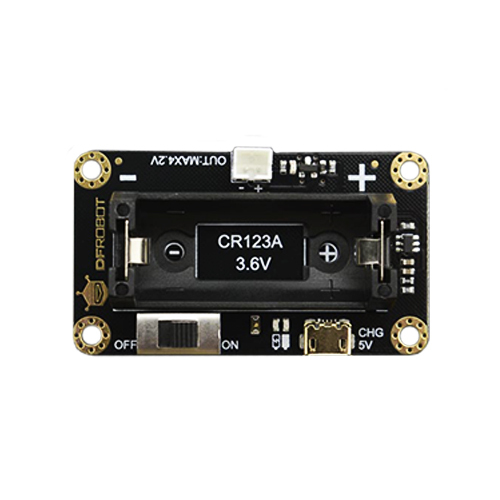 It can be used to hold a CR123A 3.6V lithium rechargeable battery to provide more than 8 hours continuous power for Maqueen. 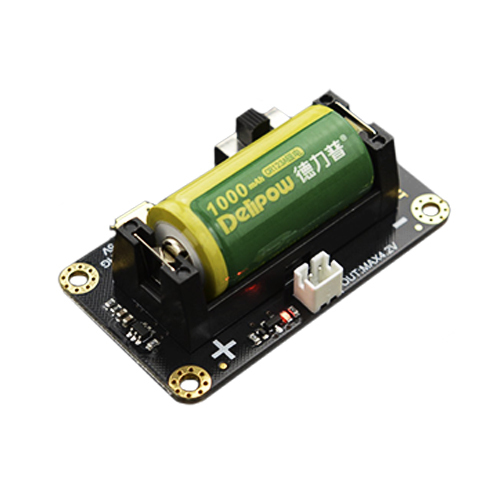 Using this environment-friendly product, you can save about 200 batteries in one year. 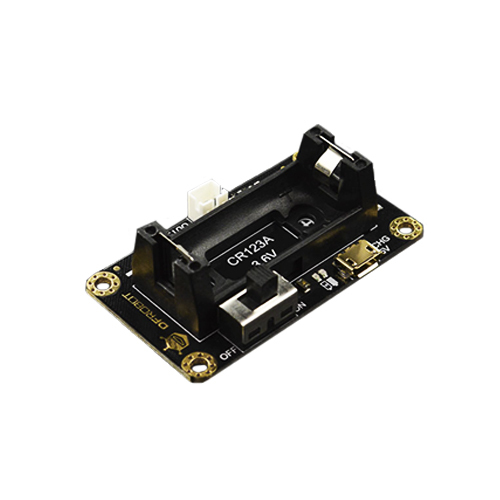 This Li-ion Battery Holder integrates charging circuit and MicroUSB interface, freeing users from purchasing extra charger. 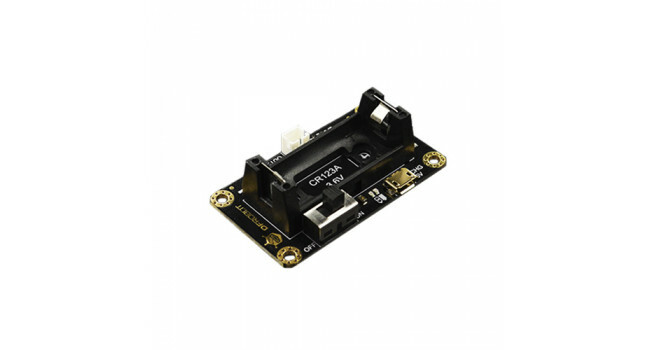 Meanwhile, we set over-current and reverse connection protection for it to improve the safety in using Li-ion Battery.